The jobs of tomorrow might not have yet been imagined. As the changes in science and technology continue to gather pace, we want to nurture the skills your child needs to succeed in the 21st century. Our new approach to teaching the interdisciplinary subjects of STEAM is all about giving your child the tools to achieve more. 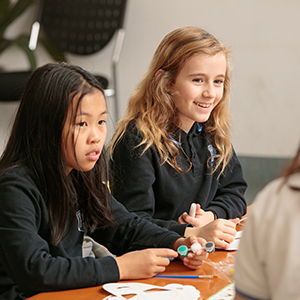 Through hands-on practical problem solving, interdisciplinary learning and the development of transferable skills, your child can imagine a world of boundless opportunities. 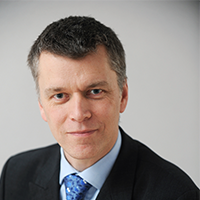 Mark has extensive international experience at both policy and school levels and has played an integral role in creating our new approach to STEAM with MIT. Educators today face a significant challenge. The world in which we live is evolving rapidly, but the way we teach students has hardly changed in over 100 years. Are we therefore doing everything that we can to prepare students for the world they will experience when they leave school? 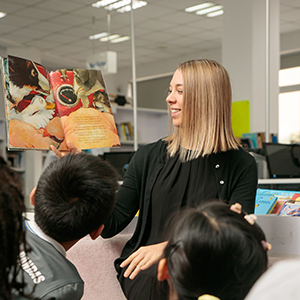 At Nord Anglia, we believe that we can do more and we have a duty to ensure the graduates of the 2030s and beyond are prepared for the world they will find – even if we don’t know exactly what that will look like. There is still a role for robust and proven forms of traditional learning. But as educators we need to think as much about the transferrable skills we help young people develop as we do about the facts they learn. Our role as educators is to inspire students to actively discover and persevere. For us, thinking is not a noun—it is a verb, an action, an activity and that is what we hope to achieve with our students. We want to challenge students to try something new, or tell them that it’s good to fail however many times it takes until they succeed. We want to tell students to learn from their mistakes and find solutions, and that the greatest lesson they will learn is from the problem that they cannot solve. As the world’s leading premium schools organisation, we want to build a curriculum that is forward-looking to the future and not resting on conventional thinking from the past. The pace of world change is so rapid that the jobs of tomorrow might not yet have been imagined. In the last 20 years, technology has completely transformed what is possible. Given this pace of change, educators can only hypothesise what newly invented jobs will exist 20 years from now. Therefore, education should not be solely the ingestion of information, but the development of skills so students can adapt to an uncertain world. Traditional systems of teaching and learning are not necessarily providing young people with the skills they need to make it in the modern world. Many of the more traditional classroom forms of learning, siloed in individual subjects, are ill-equipped to instil the skills needed for developing creative solutions to complex problems. Traditional schooling addresses problems of the past--not issues in the future. How, therefore, do we adapt and prepare our students for the challenges they face in the future? 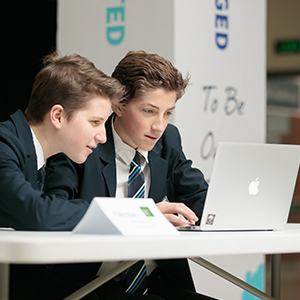 Nord Anglia believes that we must support the development of transferrable skills that require students to adapt and respond to the changing world. By doing so, we will make them more resilient, flexible and ultimately successful as they enter the real world and start contributing to society. This thinking underpins our recent performing arts collaboration with The Juilliard School. A series of studies have shown that learning music and the performing arts helps students improve literacy, mathematics and cognitive development. As importantly, it can help students develop personal skills that help them collaborate and build confidence. Our new approach to learning STEAM – science, technology, engineering, arts and mathematics--is an interdisciplinary method aimed at helping students develop vital transferrable skills and learning across subjects, through experimentation, trial and error and creativity. The cross-functional approach to STEAM exemplifies how we can prepare students for the real world. It works on the premise that the world is complex and messy; that there is no such thing as a problem that can be solved through knowledge of chemistry or physics alone. Challenges are multifaceted and the thinking needed to find a solution must be as dynamic as the world around us. Whether it’s solving cancer or combating climate change, real-world issues require inputs from across disciplines- so why start students off thinking that the world neatly falls into modules? Learning across different subjects helps build a more holistic understanding of how the world really works. Students must be given the support to discover this as early as possible in their learning journey. STEAM is based on the understanding that innovation is often found where different subjects intersect. 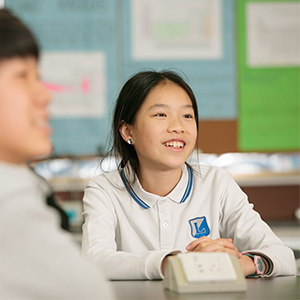 By learning these subjects at the same time, students consider a wider range of perspectives when solving a particular problem. Whereas traditional learning develops fact-based knowledge, our STEAM programme will develop the skills needed to thrive – flexibility, critical thinking, creativity and communication. There is also a strong body of evidence that suggests STEAM has a beneficial impact to learning across the board precisely because it helps develop these transferrable skills. Learning through STEAM fuels innovation and creativity and improves collaboration. 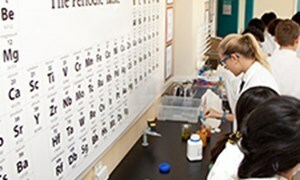 A 2013 education study found that when the liberal arts were integrated with science, problem-based learning and technology, student achievement increased in science and math as well. STEAM is therefore not only about preparing our students for the future – it also can act as a potential catalyst to accelerate learning. As with our performing arts collaboration, we are seeking to work with the best in the field. As part of our STEAM programme, we have established a special collaboration with the Massachusetts Institute of Technology (MIT) to help bring some elements of our programme to life. MIT has led consistently on STEAM concepts. Their philosophy – Mens et Manus (Mind and Hand) – captures the blend of theory and practical application that is critical to a quality education. Inspired by MIT, a core element of our STEAM programme will encourage students to learn-by-doing, helping them to develop greater understanding of their knowledge by testing theories in practice. Working with MIT, we have devised a series of real-world challenges for our students each term. These challenges will be interdisciplinary, critical-thinking activities that will present students with the challenge of a modern day, real-world issue that has yet to be solved. Each will require significant levels of collaboration, experimentation and a designed solution through trial and error. Creating practical challenges for students means that they can develop their knowledge and skills through hands-on exercises. Active participation and freedom to explore and express ideas with others while solving these real-world, open-ended challenges is proven to enhance learning. 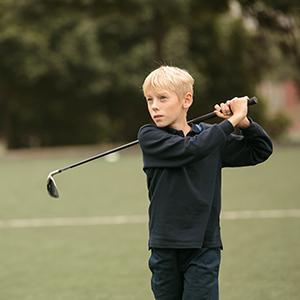 At Nord Anglia, we aim to inspire our students through excellence by challenging them to reach for their dreams and to be active participants in the world around them. We encourage ambition and curiosity and prioritise the development of real-world skills so that they will go into the world, ready to learn and discover, keen to be challenged, able to thrive. By helping our students to develop crucial transferrable skills that build on and enhance traditional systems of learning through our performing arts and STEAM programmes, we are preparing them for future success in our ever-changing world. Immerman, S. D. (2011). Letting off STEAM at Montserrat College of Art. New England Journal of Higher Education. Gordon, E. (2010). The Job Revolution: Employment for Today and Tomorrow. 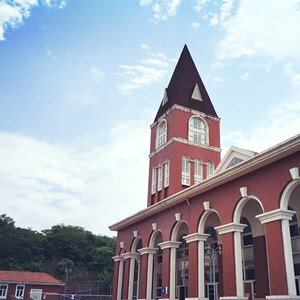 Techniques: Connecting Education and Careers (J1), 85(8), 28-31. Eisner, E. (2002). The arts and the creation of mind. New Haven: Yale University Press. Miller, J., & Knezek, G. (2013). STEAM for student engagement. Society for Information Technology & Teacher Education International Conference, 2013(1). Kim, S. & Song, K. (2013). Gifted students’ perception changes toward computer science after STEAM-based CS education. Journal of Convergence Information Technology. This hands-on, real-world curriculum to learning the interdisciplinary subjects of science, technology, engineering, arts and maths (STEAM) will help your child turn ideas into reality through activities and a visit to MIT.